After a long and distinguished public and private career, Ira Reiner is currently the president and CEO of the Homeland Security Advisory Council. HSAC was founded to coordinate the efforts and resources of the private sector with government first responders for disaster preparation, response and recovery operations. Reiner also serves as a member of the Advisory Board of Directors of the USC Annenberg Innovation Lab. As Los Angeles County District Attorney from 1984 to 1992, Reiner directed the largest local prosecutorial office in the world, with approximately 1,000 attorneys and 200 investigators. As City Attorney for Los Angeles from 1981 to 1984, he headed the largest municipal law office in the United States. Prior to that, he was the Los Angeles City Controller, the City’s chief financial officer, from 1977 to 1981. Reiner served as a visiting faculty lecturer on U.S. political and legal systems at the Lauder School of Government, Diplomacy and Strategy, Interdisciplinary Center (IDC) Herzliya, Israel, from February 2009 to June 2009 and February 2010 to June 2010. He was also a visiting fellow at the Hartog School of Government and Policy, Tel Aviv University, Israel, from September 2006 to February 2007. 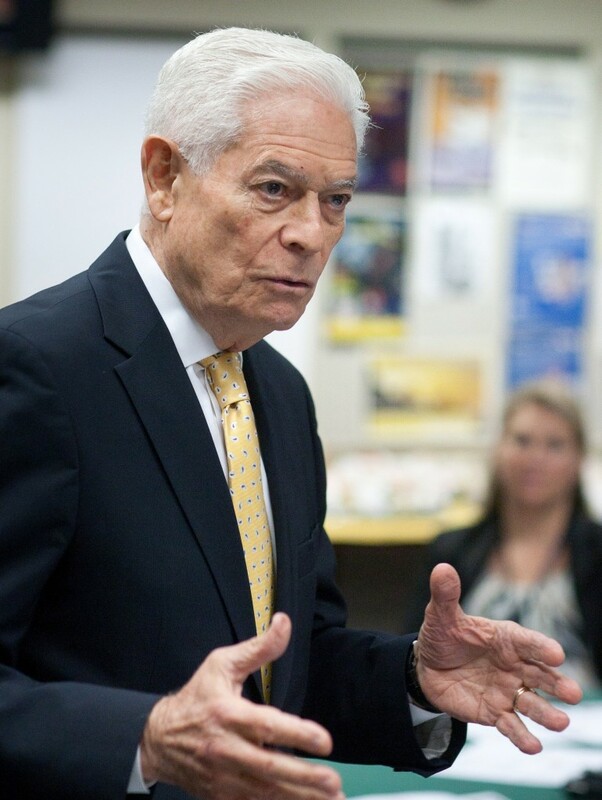 Reiner has authored articles on law and politics for the op-ed pages of the Los Angeles Times and the New York Times. Additionally, he has served as a senior legal affairs consultant and on-air commentator for NBC TV and has provided extensive legal and political commentary for ABC, CBS, CNN, FOX, MSNBC, CNBC and Court TV. He first took office in 2001, in a special election to replace his friend and political mentor John Ferraro. He was subsequently re-elected to four-year terms in 2003, 2007 and 2011. A longtime advocate for parkland with a special affection for Griffith Park, LaBonge spends a part of every morning hiking to the top of Mount Hollywood, and counts as one of his greatest achievements the acquisition of Cahuenga Peak, which saved 138 acres from redevelopment and added them as open space to Griffith Park. He has also worked tirelessly in support of Los Angeles’ sister city program, maintaining connections with cities all over the world. LaBonge currently serves as Chairman for the Trade, Commerce and Tourism Committee; Vice Chair for the Arts, Parks, Health, Aging and River Committee; member of the Energy and Environment; Transportation; Rules, Elections and Intergovernmental Relations Committees; and Assistant President Pro Tempore for the City Council. He currently resides in Silver Lake, with his wife, Brigid, and their two children, Mary-Cate and Charles. Assistant Chief Sandy Jo MacArthur is the director of the Office of Administrative Services. 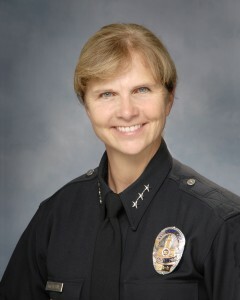 Her career with the LAPD has spanned 35 years of police operational, administrative and command experience. The complexity of her professional assignments demonstrates her understanding and recognition of the importance of leadership in organizational budgeting, human relations, discrimination, conflict resolution, tactics, training delivery and use of force. In MacArthur’s early years with the LAPD, she served in Patrol, Vice and Special Problems Unit assignments. Administrative assignments included Training, Ombuds and Press Relations, as well as serving as adjutant to the Chief of Police. After being promoted to captain and assigned to Civil Rights Integrity Division, MacArthur was responsible for overseeing implementation of the extensive requirements of a federal consent decree. As a result of collaboration with key internal and external partners, the consent decree was lifted in July 2009. MacArthur has repeatedly been selected to implement and oversee significant programs and challenging initiatives, including the MacArthur Park investigation, 21st Century Mobile Field Force Training, Multi-Assault Counter Terrorism Action Capabilities (MACTAC) regional training, and the redesign of the recruit training program. In her assignment to the Office of Administrative Services, she oversees hiring, training, technology, budget, transportation, 9-1-1 communications, records, facilities, personnel and the reserve officer corps. 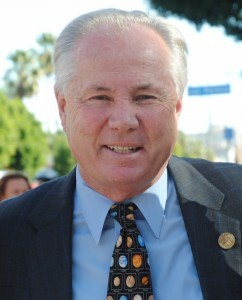 MacArthur joined the Los Angeles Police Department in 1980 with a Bachelor of Science degree in criminal justice. In 1997, she obtained a master’s in behavioral science, specializing in negotiations and conflict management. She and her husband, Nick, have been married for 30 years and have two children (Cody, a Los Angeles police officer; and Hayley Jo, an accountant) and two grandchildren. Get more details about the banquet on April 11, 2015.